Brown’s Wharf Inn, Boothbay Harbor, Maine on their last night for 2013! Kaler’s in Boothbay Harbor for dinner, again on the last night of the season. I had chicken tenders with fries and onion rings, Husband had fried lobster and potato skins, direct from the tank on their decking! Plus, some pumpkin beer which came in a glass rimmed with cinnamon and sugar – this was a revelation!! Again, another early start for us as we still weren’t quite on American time, but we puttered about until 9 when we left for Maine. Our first stop was Portland – Maine‘s largest city and home to one-third of Maine’s population (so says Wikipedia). We stopped at the mall first of all, hoping it would be better than Salem’s mall, and fortunately it was! We took a quick look around the shops, geeking out over Hunger Games keyrings in Best Buy and touching all the pretty make-up in Sephora. Actually, that was mainly me. We had a quick Starbucks brunch, and I was stupidly pleased that it had the La Boulange range – the warmed morning bun would become a firm favourite during the trip. Retail therapy over, we drove into Portland town, parked in a big multi-storey, and then walked down the the harbor. We looked in the touristy shops along the dock, and it was super busy as I think a cruise ship had just come in. Walking a bit further on, we found the Maine Narrow Gauge Railway and immediately went over to the museum to get our tickets. 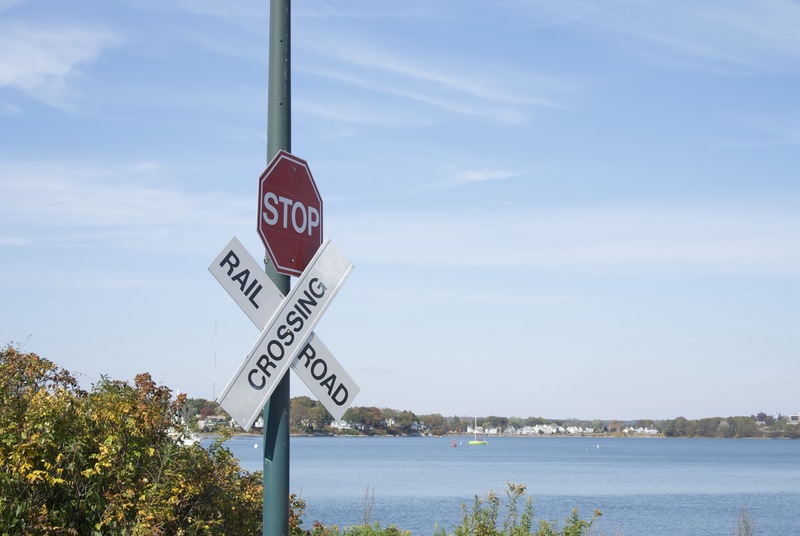 We didn’t have to wait too long for the train to arrive, and then we enjoyed a lovely trip along the waterfront through Fort Allen Park. We stopped just before the bridge at the mouth of Back Cove and had a walkabout the area for a few minutes. We decided to ride back in the caboose (yeah, I didn’t know what a caboose was either). After a bit of souvenir shopping and another wander around Portland, we jumped back in the car and carried on our journey up the coast. 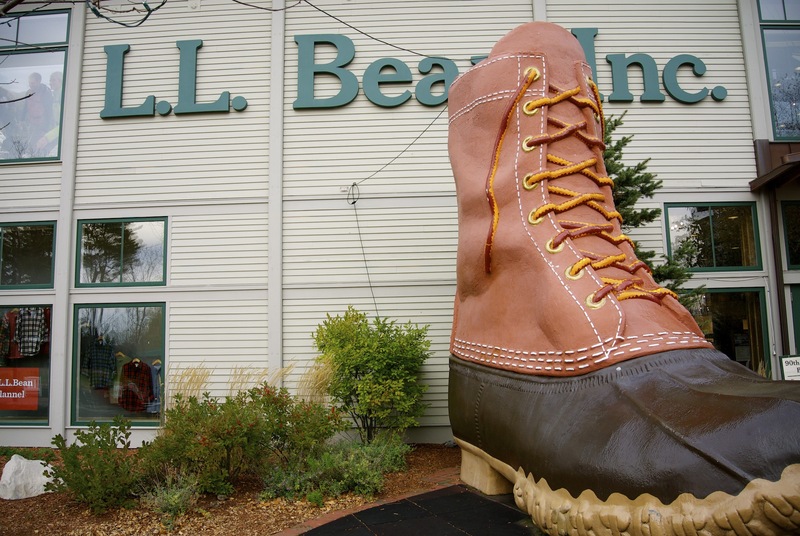 We stopped at Freeport, ME as we were curious about the famous LL Bean flagship store which is open 24 hours a day, 365 days a year – it has only closed twice since 1951. I really wanted some of their fishing boots, but I don’t think I could have justified buying boots that don’t go with any of my clothes (although I am regretting that decision now…) Husband went on a mini-spree for himself and got a complete new outfit, and I was happy to just help him shop. The whole of Freeport is full of outlet shops, so my mother would love it, and it had a really nice energy to it. I was already shopped out from our trip to the mall that morning so didn’t buy anything here but the potential was there! 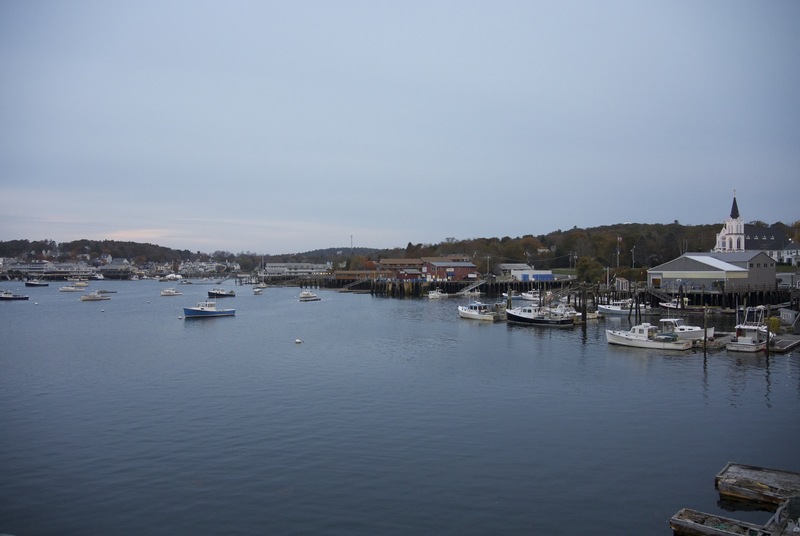 Back in the car, and up (then down) to our final destination for the day – Boothbay Harbor, ME. We didn’t realise when we booked that it was literally the last day of the season, and although the town was quiet, we still received a great welcome from the receptionist at Brown’s Wharf Inn. We got a few recommendations for dinner from her, and then made out way up to our corner room. It had two double beds (or queen beds? I get confused by American bed sizes) and a brilliant corner balcony. We watched the sun go down, and then walked the 15 minutes into town (across the foot bridge over the bay) to Kaler’s – one of the restaurants recommended to us. It was so good, and we had so much food! You could go on the deck to see the lobsters in their tank, and despite the fact it was the last day of the season, there was a great atmosphere and we really enjoyed our evening. We walked back through the town, wishing we’d been there earlier in the season to see all the shops and pubs open and full of tourists, but it was still a lovely walk. Our usual evening routine followed of bath, TV (How I Met Your Mother series 2 finale = tears from me) and bed. In hindsight, the double bed was not big enough for both of us to sleep comfortably and we should have had one each, but we’d know for next time.